With his incredibly successful debut album “American Teen” and his most recent top 10 radio collaboration with Normani, Khalid Robinson, known professionally as Khalid, has been one of the hottest artists in the industry this past year. He kept that streak going with his latest EP, “Suncity,” an ode to his hometown of El Paso, Texas, where he received a key to the city. While a lot of artists drop off after their first album, Khalid shows that he is a force to be reckoned with as he becomes a more mature artist who is comfortable in his own skin. Khalid’s debut album, while impressive, was full of simple production and vocals. If you were expecting the same thing from this album, prepare to be blown away. If “American Teen” was a nice scoop of ice cream, “Suncity” is a full-on ice cream sundae with a cherry on top. The first thing that stood out on the first listen was Khalid’s improved vocals. It has not been that long since his debut album was released, but the listener can immediately hear that he has developed his upper range more. The track “Better” was released a couple of weeks before this EP came out and definitely showcased Khalid’s movement in a new direction. It is always evident when an artist actually writes their own music, because their true feelings can be felt through their music, and that is exactly how I felt when listening to this EP. Another different aspect to Khalid’s music with his new project is the fact that there is a dreamlike quality to the new music he has released, compared to the songs on “American Teen,” which were much more rhythmical and to the point. “Motion,” the fifth song listed, really showcases the versatility of Khalid’s voice and the dreamlike quality of his new EP. In the chorus he sings, “I’m in love with the moment / To me fallin’, to me goin’.” The song feels perfect to listen to toward the end of a long car ride where passengers are quietly sleeping in the backseat. “Saturday Nights” sounds like it could be on “American Teen,” as it shows off Khalid’s tender side as he sympathizes with lovers that don’t feel like they are living their lives to the fullest. “Suncity,” which featured Empress Of, a Los Angeles-based musician, was a surprise song on the EP. This is the first time Khalid has ever sung in Spanish in one of his tracks, and he did a good job meshing his voice with the featured artist. Since this song is titled after the EP, it can also be inferred that this song serves as a direct ode to Khalid’s hometown of El Paso, which has a strong influence from Mexican culture due to its close proximity to the border. 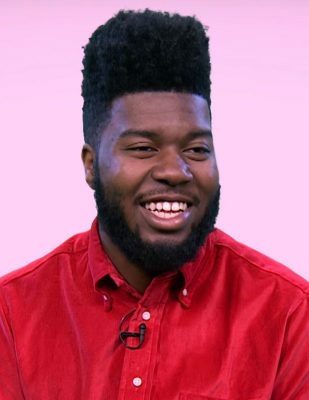 To be really picky, one complaint would be that there were several points in the album where it was difficult to understand what exactly Khalid was singing because of the pronunciation of his words. However, the emotion of each track could be felt through the upgraded production and vocals, so the pronunciation should not hinder the listening experience. Overall, Khalid released a sophomore EP that delivered an impact greater than his debut, full-length album. He shows that he continues to get better as an artist and that he has an extremely bright future ahead of him, especially considering he is only 20 years old. It is no question that this album has shown Khalid’s ability to progress and improve as an up-and-coming artist.